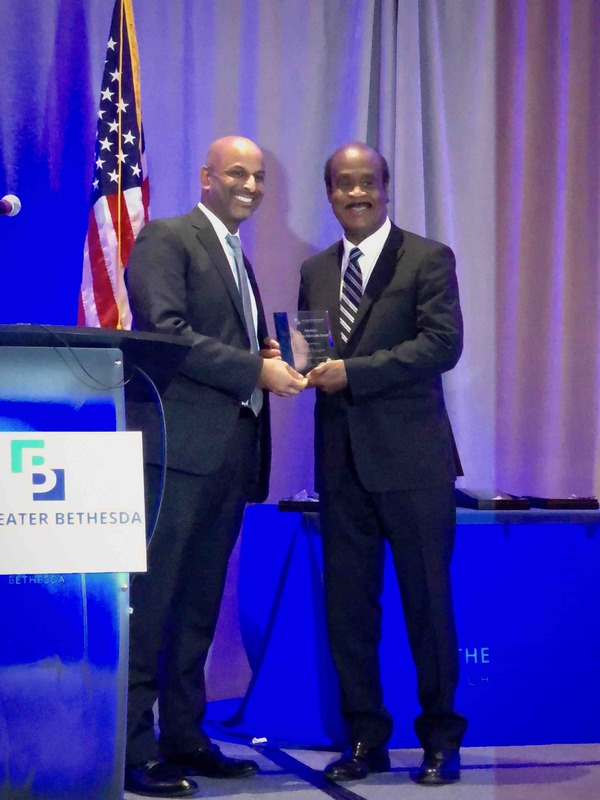 On Tuesday, June 5, at the 92nd annual Greater Bethesda Chamber of Commerce Installation & Awards Dinner in Bethesda, Maryland, Marriott International proudly presented the Ron Resh Business Advocate Award to three-term Montgomery County Executive Isiah “Ike” Leggett. Leggett has been part of countless civic and community organizations and his success made him an obvious choice for this recognition. For nearly a century, the Installation & Awards Dinner has brought members of the community together to celebrate the Bethesda Chamber’s success and usher in the next year’s. The evening marked the installation of Jane Fairweather as the Chamber’s new chair. The Ron Resh Business Advocate Award is named after the late Ron Resh, a former public affairs consultant for the Chamber. This is the second year Marriott has been an award sponsor for the event.